The world is advancing to a new level in all aspects right from the automobiles to the technology. New businesses are getting registered every day, and the competition is getting healthier across all domains. Singapore is a hot city when it comes to business as the country is said to be having a significant number of companies. Registering a business in Singapore is not a difficult task when you hire 3E Accounting. It is ranked top in the list of companies that offer a one-stop solution for all the business needs. Providing various services related to businesses needs like company registration, 3E Accounting takes care of establishing a company in Singapore. 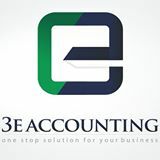 3E Accounting Singapore offers services like new company registration, immigration/work pass, stamp seal makers, virtual offices, taxation, corporate secretarial, and accounting services. Not only these but they also offer services like human resource, business advisory and setup, software sale, legal, associate business and more. With a team of qualified and experienced professionals, 3E Accounting provides services with clean paper works at cost-effective pricing plans. If you are looking for a firm to help you register your company, then 3E Accounting will be your perfect bet for all your business needs.